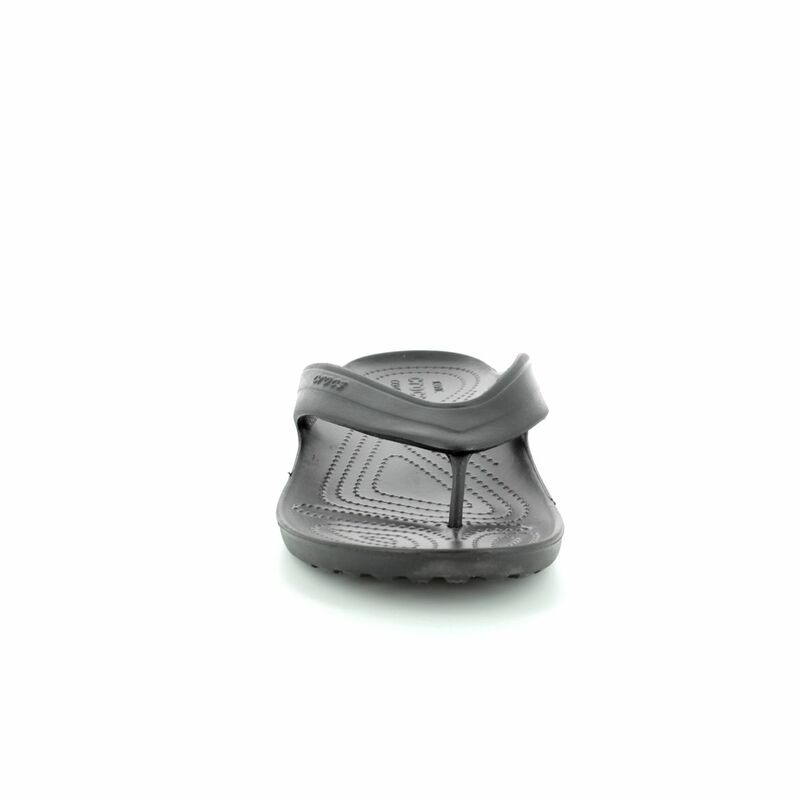 Crocs brings us 202635/001 CLASSIC FLIP. 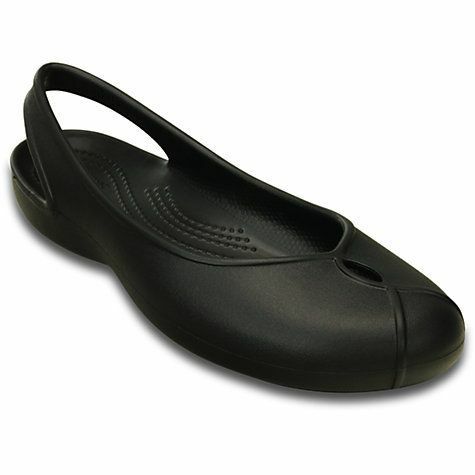 These classic black flip-flops have all the comfort of the original Crocs condensed into a streamlined toe-post design. 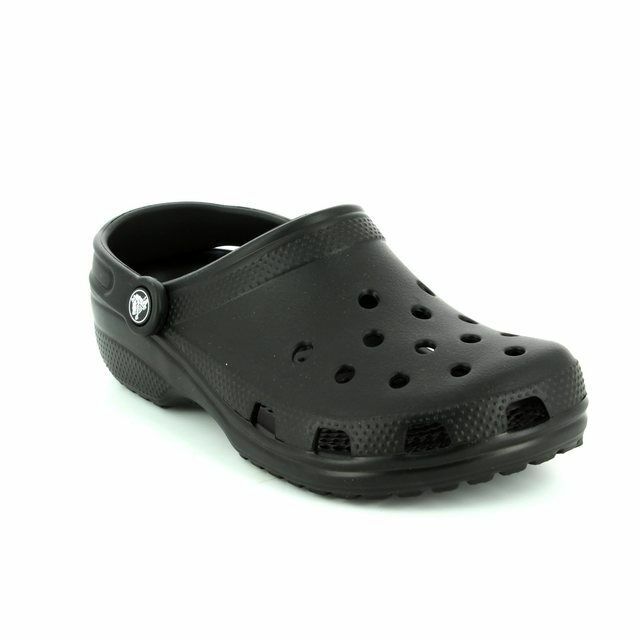 Made using the same Croslite foam cushion which feels soft and provides support all day to create their patented Iconic Crocs Comfort. 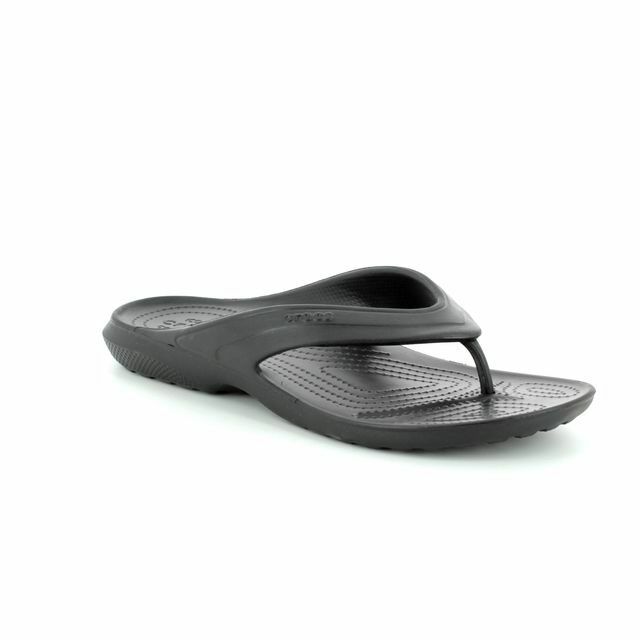 The fit of these flip-flops is Relaxed which feels more secure on the foot and is not quite as generous as original Crocs. 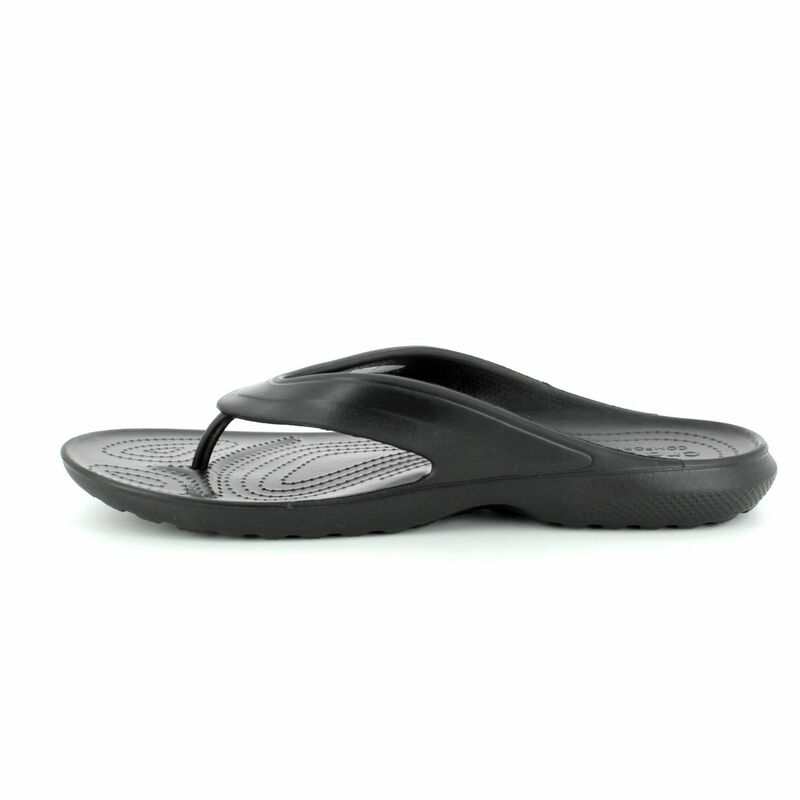 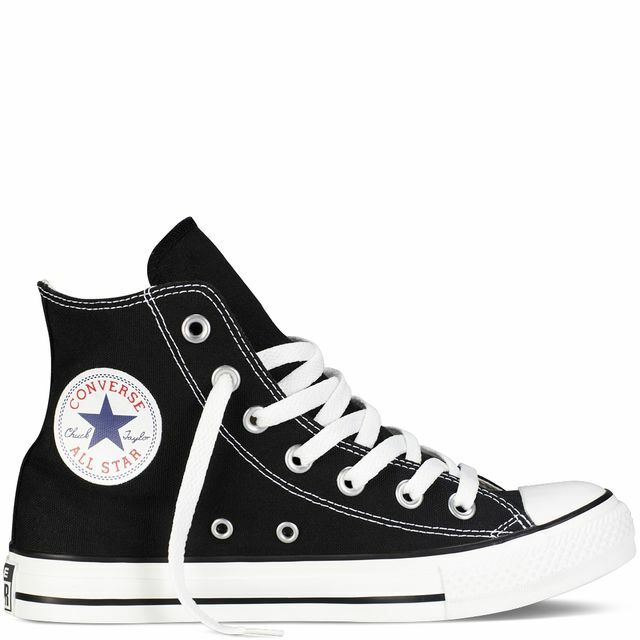 The toe post is made from soft TPU for additional comfort while wearing. 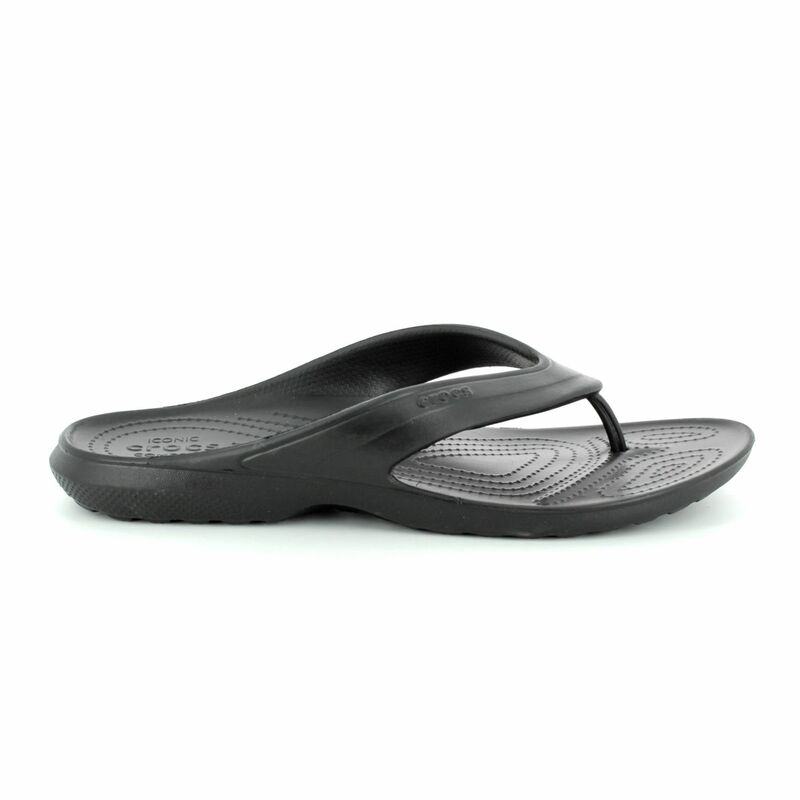 Incredibly lightweight, these flip flops wash easily and dry quickly. 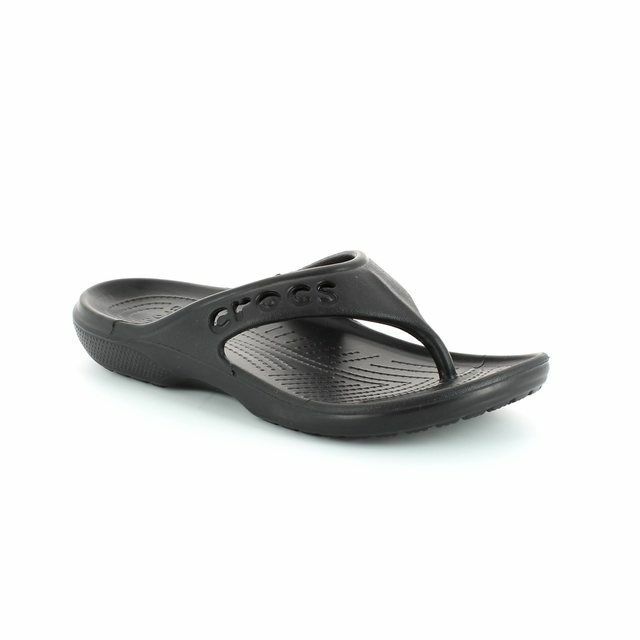 Perfect to wear to the beach, by the pool, in the shower when camping - for any summer activity! 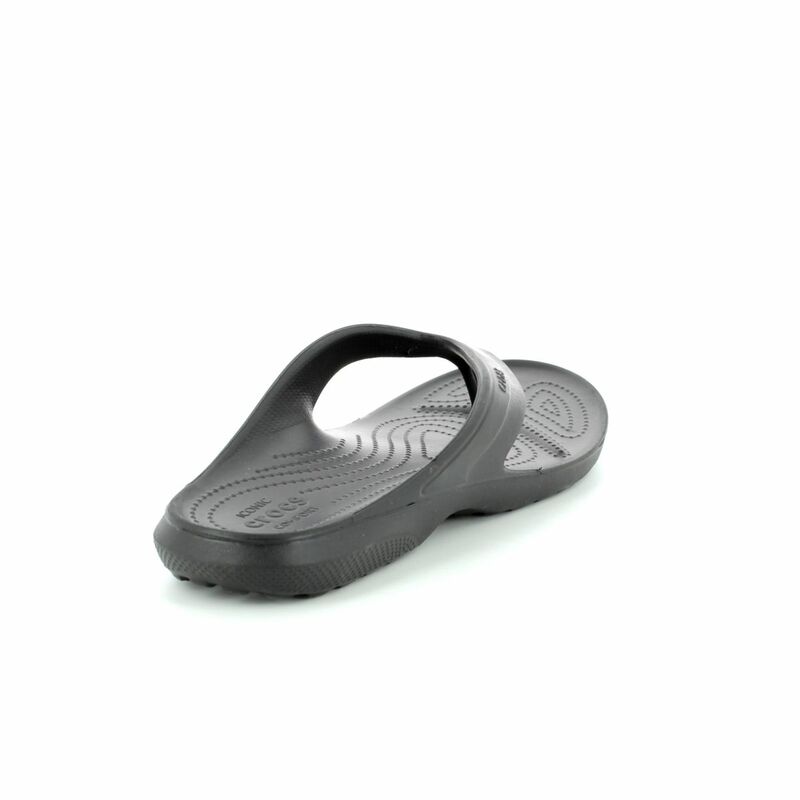 Buy your Crocs flip-flops from Begg Shoes, an official Crocs stockist.